Gotta Match is a new free android game for matching shapes and colors, featuring a High Score Leader-board, guaranteed to keep you on your toes. You may even build some extra brain cells playing this game. You will need to remember where particular shapes and colors are duing the game as they are revealed. All free android games should all be this fun and addicting. You have many ways to earn points. 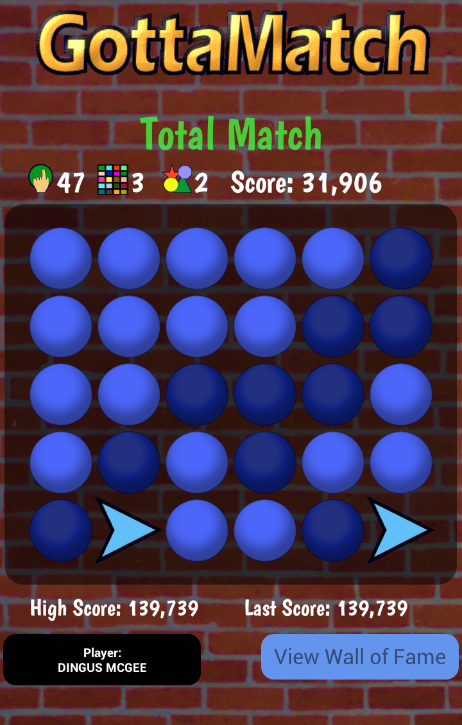 Earn points by matching colors, shapes and total matches of shapes and colors. Match more than 3 colors and get color matching bonus points. 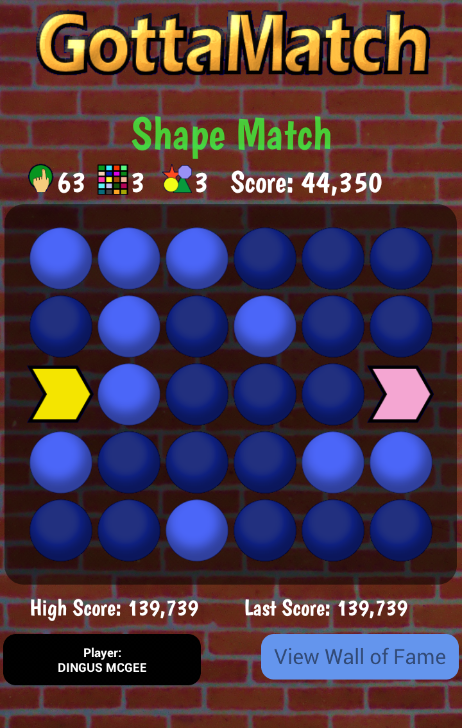 Match 3 or more shapes and get shape matching bonus points. Match the whole board in less than 60 moves and you get bonus points for the moves you didn’t use. 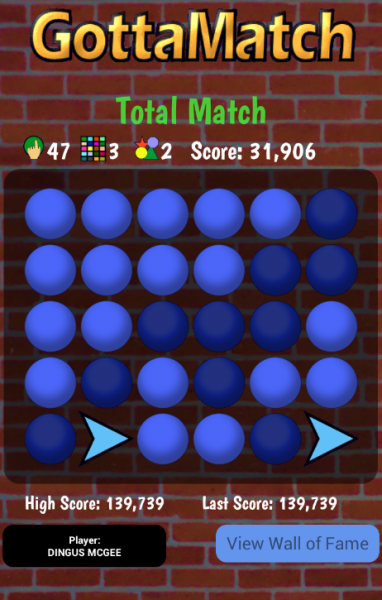 On top of all that, three matches of color in a row and gets you hefty bonus points. 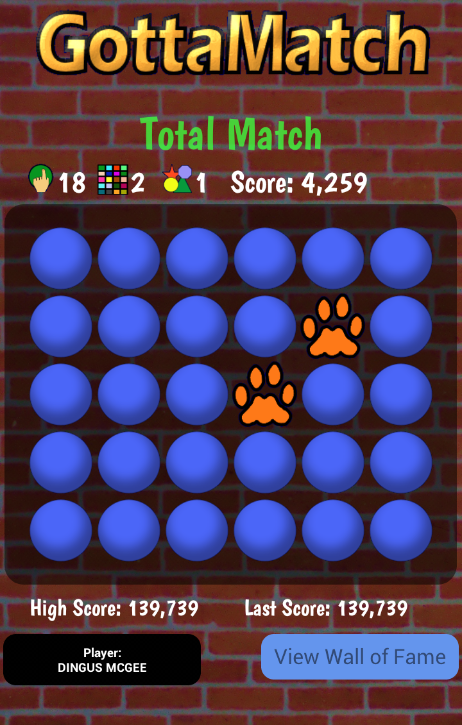 Same bonus points with matching three shapes in a row and also with total matches. Add to all of this, a leader-board where you can submit your high scores and compare how you are fairing with the rest of the world. The leader-board shows the top 100 high scores and also what ranking you have. 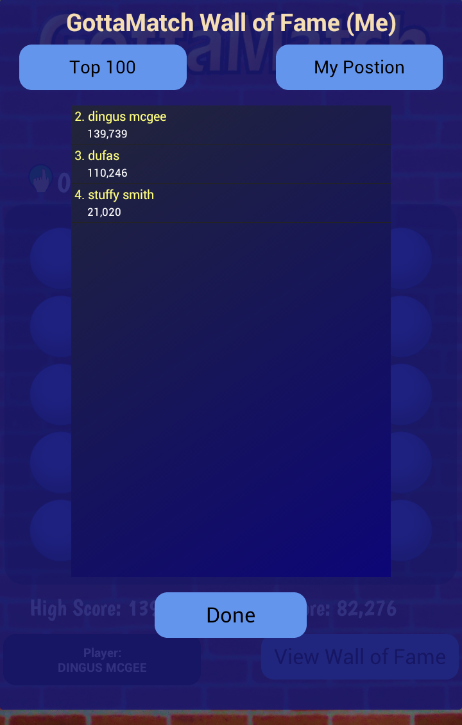 We have a lot packed into this free android game for you. Give it a try and take your time. Don’t rush. You will find that if you take your time, you will do better and score more. If you like it, please give it a 5 star and share with your friends. This game is a completely free android game with no in app purchases. It is supported by small banner ads at the bottom of the screen only. It’s a totally free android game. Give it try and rate it 5 stars if you like it and also visit our facebook page and give a it like to help us out.